The Ecuador Open Quito is a relatively recent addition to the ATP World Tour 250 Series: it was only launched in 2015. 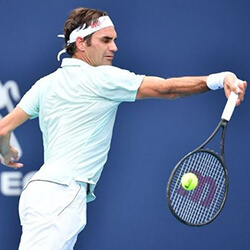 However, last year’s event at Quito’s Jacaranda Tennis Club attracted more than 20,000 spectators, so bumper crowds are again expected when the 2017 clay-court tournament starts on February 04. There is a fair selection of talent signed up for the 2017 Ecuador Open, giving Australian betting fans some interesting options. Croatian World No. 21 Ivo Karlovich will be top seed, but Spain’s Albert Ramos-Vinolas, World No 26, could also be a threat. For punters who don’t enjoy tennis on clay, the Garanti Koza Sofia Open commences in Bulgaria the day after the Ecuador tournament. It is another ATP 250 Series competition, played on the indoor hard courts of the Bulgarian capital’s 12,000-seat Arena Armeec. 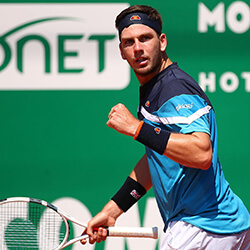 The Sofia Open has the strongest field of the three ATP tennis tournaments running simultaneosuly in February. Current World No. 8 Dominic Thiem, from Austria, will no doubt be favourite with the betting fans, but with the main draw including three Top-15 players, another in the Top 20 and a total of 11 Top-50 players in all, he won’t have a walkover. Belgian David Goffin, at No. 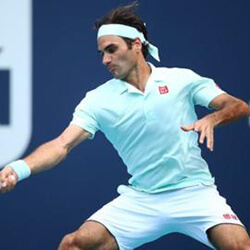 11, and the defending champion, Spain’s Roberto Batista Agut at No. 14, will both be serious contenders. The Sud De France Open is the third ATP 250 Series tournament next month, running like the Sofia Open from February 05-12. The similarity doesn’t end there: the Sud de France Open, in Montpellier on the Mediterranean coast, is also played on indoor hard courts. 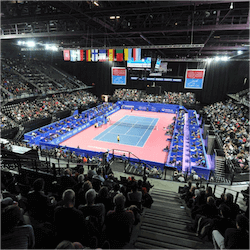 The Arena Montpellier, with a maximum capacity of 7,500, has been the venue since 2010. 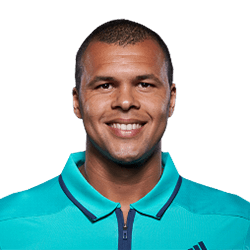 French fans will be happy to see local stars Jo-Wilfried Tsonga and Richard Gasquet, World Nos. 12 and 18 respectively, in the line-up. Gasquet has won the tournament four times, including successive victories in 2015-16, so he will be angling to take the hat-trick. Australian betting fans, however, may pay more attention to Croatian Marin Cilic. The current World No. 7 is likely to be top seed.